The proud Civilization which in 1900 was master of 18/2Oths of the earth’s surface, arrived at the point in 1945, after the suicidal Second World War, where it controlled no part whatever of the earth. In Yockey’s view this “crisis of the Western Civilization” was caused by the conflict between “the 19th century outlook” and “the 20th century outlook”. As I have tried to point out throughout this series focused on Yockey, the real cause of the crisis has been the jews, who all along have been perfectly conscious of their own separate identity and interests as a people, not as some amorphous Capitalized Idea. Though jews had possessed considerable political power at various times and places previously, their struggle to take direct control over “the Western civilization” in its entirety became overt during the 19th century. Until the mid 20th century their ambition was overtly resisted. Since then jewish rule has not been challenged or even seriously questioned. It is taboo to even speak of it. … if there is a dominant characteristic of our civilization, it is the capacity (in good minds) for rigorously objective observation of nature and strictly rational inferences and deductions therefrom–the mentality that has made possible our science and technology. This characteristic rationalism is what Yockey actually misidentified as the problem. This attempt to minimize the biological nature of men is paradoxical in writers who not only recognize that the greater part of human conduct is determined by instincts and tropisms that are largely subconscious, but so restrict the function of reason as to make it virtually without effect on the course of history. We are told–and the proposition is illustrated by examples drawn from the history of our race–that great men, who determine events rather than chatter or write about them, have a ‘tact’ or instinct that enables them to make correct decisions with so little reliance on their rational powers that they may not know why they took the action that made them victorious or successful in a given undertaking. Their strength comes, not from superior powers of cognition and cogitation, but from a faith in their own destiny. The psychological problem cannot be analyzed here, (28) but if we accept the claim that even the greatest men are basically irrational, we thereby attribute to heredity an absolute power over human conduct, of which it becomes the sole determinant, since it is beyond question that in all mammals, including men, instincts are innate and genetically transmitted. The logical conclusion to be drawn from Spengler’s psychology, therefore, is that biological race is supremely important. Granting that “the race one feels in oneself” is what counts, what one feels (as distinct from what one may simulate) is genetically determined. In sum, the argument that great men are great because they are driven by irrational instincts, which are heritable, is an argument for importance of biological race. Spengler asked his readers to believe that the Jews are a dwindling and disintegrating people, a negligible force in world politics and the struggle for power. I have always thought the Jews’ aspersions of Spengler’s memory a good example of their habitual ingratitude toward their most effective apologists. Yockey, educated by events that Spengler did not live to see [WWII, Nuremberg trials], regards the Jews as the dominant force in the world of 1952. He has very little to say, however, about their unvarying activity through all the centuries since they first appear in history, and he focuses his attention entirely on the present. From Cromwell to Joseph Chamberlain — the beginning and the end of that high political tradition which built the great British Empire, which at its highest point exerted its control over 17/20th of the surface of this earth — England was the example of the possibility of tradition in politics as well as in philosophy, music, and the arts of form. By the mid-1830s, English Jews led by the Cousinhood began to press for the removal of Christian oaths in Parliament and this for their ability to enter the legislature. In 1858 a “damp jew”, Benjamin Disraeli, became leader of the House of Commons and removed its “Christian oath” restriction. By 1874 Disraeli was prime minister. This opinion was reinforced by the fact that one of the conflict’s earliest supporters was J.H. Hertz — Chief Rabbi in South Africa. Hertz would later be rewarded for beating the war drum with an appointment to no less a position than “Chief Rabbi of the British Empire.” In February 1900, Members of Parliament were openly acknowledging the Jewish complexion of the hostilities, with John Burns emphatically declaring before a full House of Commons that “Wherever we examine, there is a financial Jew operating, directing and inspiring the agonies that have led to this war…the British army which used to be used for all good causes…has become the janissary of the Jews” — a comment that rings true today as a description of the American armed forces as a tool of Israel and its powerful American lobby in the war in Iraq and the looming war with Iran. The Law of Sovereignty is the inner necessity of organic existence which places the decision in every important juncture with the organism, as opposed to allowing any group within to make the decision. All the great civilizations of the past became decadent because the originally creative race died out, as a result of contamination of the blood. The most profound cause of such a decline is to be found in the fact that the people ignored the principle that all culture depends on men, and not the reverse. In other words, in order to preserve a certain culture, the type of manhood that creates such a culture must be preserved. But such a preservation goes hand-in-hand with the inexorable law that it is the strongest and the best who must triumph and that they have the right to endure. Hitler saw culture as an expression of a people. The inverse, which Hitler identified as the most profound cause of decline for a culture/civilization, is the belief Yockey espoused. It would be futile to attempt to discuss the question as to what race or races were the original standard-bearers of human culture and were thereby the real founders of all that we understand by the word humanity. It is much simpler to deal with this question in so far as it relates to the present time. Here the answer is simple and clear. Every manifestation of human culture, every product of art, science and technical skill, which we see before our eyes to-day, is almost exclusively the product of the Aryan creative power. This very fact fully justifies the conclusion that it was the Aryan alone who founded a superior type of humanity; therefore he represents the architype of what we understand by the term: MAN. He is the Prometheus of mankind, from whose shining brow the divine spark of genius has at all times flashed forth, always kindling anew that fire which, in the form of knowledge, illuminated the dark night by drawing aside the veil of mystery and thus showing man how to rise and become master over all the other beings on the earth. Should he be forced to disappear, a profound darkness will descend on the earth; within a few thousand years human culture will vanish and the world will become a desert. If we divide mankind into three categories–founders of culture, bearers of culture, and destroyers of culture–the Aryan alone can be considered as representing the first category. It was he who laid the groundwork and erected the walls of every great structure in human culture. Only the shape and colour of such structures are to be attributed to the individual characteristics of the various nations. It is the Aryan who has furnished the great building-stones and plans for the edifices of all human progress; only the way in which these plans have been executed is to be attributed to the qualities of each individual race. Note the contrast with Yockey. Hitler clearly saw people, the Aryans, as founders and creators of culture, not as mere bearers of it. In the subsequent paragraphs he explains his understanding of how the Aryans conquered and subjugated other peoples, eventually mixed with them, and thus disappeared – true to the consensus on European racial history which had taken shape since at least the middle of the 19th century. The 19th century concepts of race, people, nation, and State are exclusively of Rationalistic-Romantic provenance. They are the result of imposing a thought method adapted to material problems on to living things, and thus they are materialistic. Materialistic means shallow as applied to living things, for with all Life, the spirit is primary, and the material is the mere vehicle of spiritual expression. Since these 19th century concepts were rationalistic, they were basically unfactual, for Life is irrational, unamenable to inorganic logic and systematization. The Age upon which we are entering, and of which this is a formulation, is an Age of Politics, and hence an age of facts. The broader subject is the adaptation, health and pathology of High Cultures. Their relationship to every type of human grouping is a prerequisite to examining the last problems of Cultural Vitalism. The nature of these groupings will therefore be looked at without preconceptions, with a view to reaching their deepest meanings, origin, life, and inter-connections. Instead of confronting the facts about jews and race – that jews are racially distinct, possess their own identity and pursue their own agenda, have a long-established pattern of infiltrating, manipulating and exploiting hosts – Yockey denied these facts and instead imagined that the problem was Materialism and Rationalism (driven by unexplained forces toward unexplained ends for unexplained reasons). Concerning European heroes and the nature of their genius. to politics. Cromwell the theologian departed from this only occasionally, and more in words and expressions of sympathy than in actions. His successors in the tradition of Empire-building were not burdened with his heavy theological equipment, which they transformed into cant, a word translatable into no other European language. The technic of cant was what enabled English diplomacy to score continued successes in the world of facts, i.e., the world of violence, of cunning, of sin, while maintaining before itself the attitude of selfless morality. To enrich the country by new possession was thus “bringing civilization” to “backward” races. And so on, through the whole gamut of political tactics. Cant may not have an equivalent in any other European language, but what Yockey called “the technic of cant” does have an equivalent in Hebrew. Hasbara is variously explained as “explaining”, “public relations”, “diplomacy”, and “propaganda”. It is a relatively new word for one aspect of a long-standing apologetic mechanism which is perfectly characteristic of the jews. 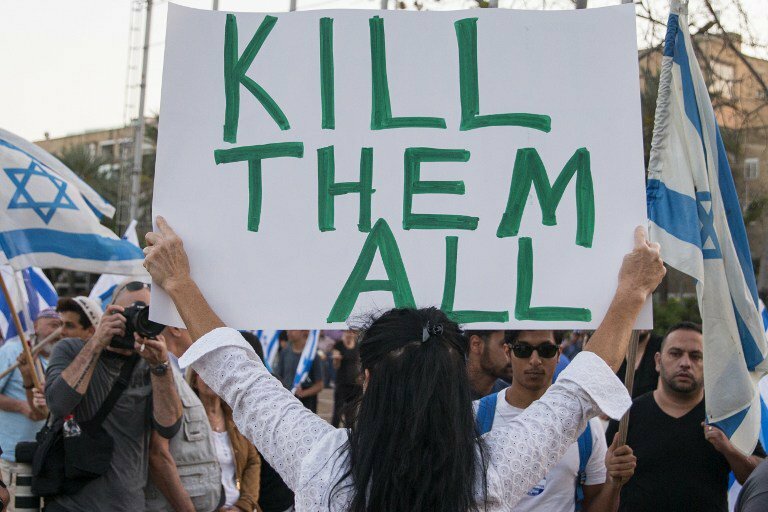 In light of tikkun olam – the blank check jews give themselves to “repair the world” and be “a light unto the nations” – it’s no coincidence that jew-backed British politicians from Cromwell on built an empire based on the “selfless morality” of “bringing civilization” to “backward” races. Cromwell is one of the most controversial figures in the history of the British Isles, considered a regicidal dictator by historians such as David Hume, a military dictator by Winston Churchill, but a hero of liberty by Thomas Carlyle and Samuel Rawson Gardiner, and a class revolutionary by Leon Trotsky. In a 2002 BBC poll in Britain, Cromwell was selected as one of the ten greatest Britons of all time. However, his measures against Catholics in Scotland and Ireland have been characterised as genocidal or near-genocidal, and in Ireland his record is harshly criticised. 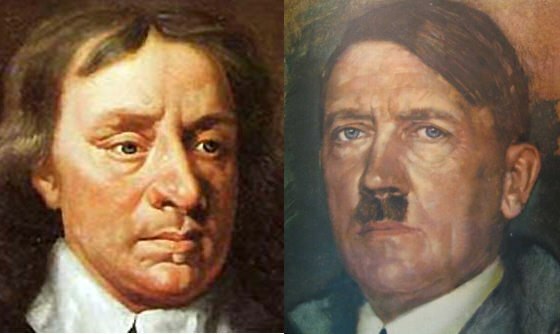 Yockey’s favorable regard for Cromwell may have to do with his favorable regard for Carlyle, the Scottish philosopher he credited with trying to explain Prussianism (proto-National Socialism) to the English. As Lord Protector, Cromwell was aware of the Jewish community’s involvement in the economics of the Netherlands, now England’s leading commercial rival. It was this—allied to Cromwell’s tolerance of the right to private worship of those who fell outside evangelical Puritanism—that led to his encouraging Jews to return to England in 1657, over 350 years after their banishment by Edward I, in the hope that they would help speed up the recovery of the country after the disruption of the Civil Wars. Since before 1640 there had been established in London a small colony of Sephardic Jews, marranos or crypto-Jews, passing as Spanish merchants. The leader of the London group was Antonio Fernandez Carvajal whose history began with his leaving Portugal, possibly for the Canaries; trading interests brought him to London where he settled in the 1630s. By 1643 he had a position of importance, with a house and warehouse in Leadenhall Street; he traded with his own ships to the East and West Indies, Brazil, and other remote regions; his agents operated in all the mercantile centres of Europe. See also The Murder of Mary Phagan – Part 6, where we see that by 1733, only seven or so decades after Cromwell, the colony of jews in London had grown into an international hub, moving jews and “crypto-jews” in and out of colonies elsewhere. The complex origins of the war resulted from more than a century of conflict between the Boers and the British Empire, but of particular immediate importance was the question as to which white nation would control and benefit most from the very lucrative Witwatersrand gold mines. There were Jews among the directors of the Dutch East India Company, which for 150 years administered the colony at the Cape of Good Hope. I didn’t dig very deep into the Pitts, the father and son Yockey identified as the only political geniuses between Cromwell and Chamberlain. I suppose the oddest thing about Yockey’s favor for them is that they were exponents of the kind of national rivalry and pre-20th century thinking he so disdained. Pitt is best known as the wartime political leader of Britain in the Seven Years’ War, especially for his single-minded devotion to victory over France, a victory which ultimately solidified Britain’s dominance over world affairs. 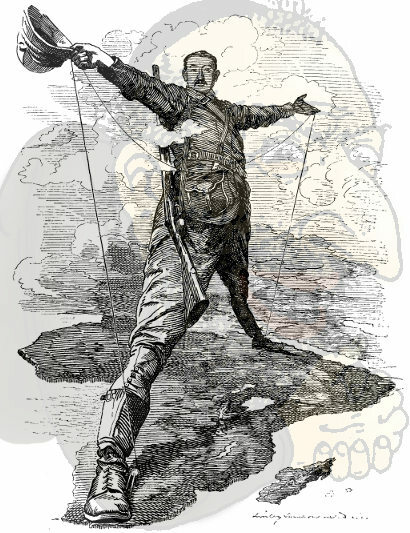 He is also known for his popular appeal, his opposition to corruption in government, his support for the colonial position in the run-up to the American War of Independence, his advocacy of British greatness, expansionism and colonialism, and his antagonism toward Britain’s chief enemies and rivals for colonial power, Spain and France. He displayed a commanding manner, brilliant rhetoric, and sharp debating skills that cleverly utilized broad literary and historical knowledge. The younger Pitt’s prime ministerial tenure, which came during the reign of George III, was dominated by major events in Europe, including the French Revolution and the Napoleonic Wars. The crass stupidity of Rationalism and Materialism was nowhere more perfectly in evidence than in its attempt to make the word genius into an intelligence term. Naive “tests” were even devised to detect the presence of “genius,” which could be shown by a number. In the Age of Materialism, there was no scruple about weighing and numbering the faculties of the Soul. The fact is that intelligence is the functional opposite of Genius. Intelligence is dissection, genius is creation; one is analysis, the other is synthesis; the first is directed toward the Part, the second toward the Whole. They are related as terrestrial and astral, counting and imagining. Another example of Yockey’s Grand Dichotomizing. There is more to intelligence than a single dimensional IQ can fairly represent, but its various aspects are correlated and not as exclusive as Yockey contends. In addition to the distinction Yockey notes between dissecting analysts and creative synthesists, there is a distinction between analogizers and memorizers, or mappers and packers. Most thinkers avail themselves of some combination of these traits, though the various mixes may be more or less common. and beliefs. Not so the creative man in politics: he thinks along one line, and one line only. This gives to his enemies the opportunity of convincing many that he is mentally ill, and they have never failed to do so, from Alexander to the Hero we have seen. But political Genius and its enemies pass into two different categories of History. His name is written in bronze letters as the symbol, meaning, apotheosis, and incarnation of the Spirit of his Age; his enemies turn out on this high plane to have been merely the material with which he hewed his deeds. Third, intensity: the voice of Genius commands; it is harsh, intolerant. It demands and impels upward. Genius is inseparable from the presence of a rushing inner chaos, the prerequisite of formative work. Under a Frederick, or a Charles XII, men will overcome tactical odds of 5-to-l, strategical odds of 30-to-l. But not under Laudon, or the Archduke Charles, or a Grant. These latter need crushing superiority to make up for their inner lack. Fourth, the sense of a Mission. This vision, purity, and intensity are all brought into an ethical focus: the things which he sees are stamped with Necessity, and he must actualize them. This accounts for the powerfully dramatic influence of a political Genius upon the facts of History. His forceful mission compels everyone to orient himself to it. Everyone is either with him or against him. He becomes the center of the world. Lastly, an Imponderable. Genius is Life at its highest human potential, and all Life is uncanny, irrational, mysterious. There is something about Genius that makes men rise spiritually. It is the Something that gave Napoleon victory on almost every field, that sat like an eagle on the shoulder of Moltke, as he worked quietly at his task of shaping the form of the 20th and 21st centuries. It may be merely the personality accompanying these extraordinary gifts. It may be a transcendental emanation from the higher organism — it is unknowable, but it is there. Yockey dedicated Imperium “To the hero of the Second World War”, Adolf Hitler. Though he and his National Socialists confronted the jews and thus flushed them out, his name is not yet written in bronze letters because they prevailed. Europe’s geniuses and heroes cannot be properly judged without accounting for the jews. All that we admire in the world to-day, its science, its art, its technical developments and discoveries, are the products of the creative activities of a few peoples, and it may be true that their first beginnings must be attributed to one race. The maintenance of civilization is wholly dependent on such peoples. Should they perish, all that makes this earth beautiful will descend with them into the grave. However great, for example, be the influence which the soil exerts on men, this influence will always vary according to the race in which it produces its effect. Dearth of soil may stimulate one race to the most strenuous efforts and highest achievement; while, for another race, the poverty of the soil may be the cause of misery and finally of undernourishment, with all its consequences. The internal characteristics of a people are always the causes which determine the nature of the effect that outer circumstances have on them. What reduces one race to starvation trains another race to harder work. That last sentence is the thesis of Arthur de Gobineau’s The Inequality of Human Races, published in 1854.